We are so confident that we can deliver better hearing to you, that we want you to try our hearing aids before you buy them, so why don't you take advantage of a free hearing aid trial? We want to give you the confidence that the hearing aids we recommend, are right for you. That is why we insist that you try them before you buy them. We believe now after providing hearing aids since 2002, that this is the correct way to introduce you back into the world of hearing clearly again. In conjunction with the leading hearing aid manufacturers, we are offering a risk-free and no obligation trial of their hearing aids Across Scotland. We will carefully measure and assess your hearing and discuss with you all the situations in which you have difficulty. Only then and based on all the information available will we begin to advise and demonstrate by using the latest computer technology how best to help you again achieve clearer sharper hearing. 1. Cosmetics, do you want hearing aids from the range of now almost invisible ones…. 2. Do you need to connect to the television, telephone, i-pod, or computer? 3. What level of technology do you need? Do you experience more difficult listening environments (example noisy workplace, restaurants, large meetings, etc)? 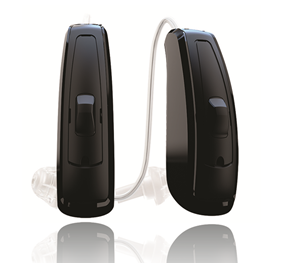 We will order the hearing aids of your choice and fully instruct you in their use. You are free to try them at your leisure and use them in all the situations in which you previously found it difficult to hear. We will evaluate your progress after 10-14 days and fine-tune them if necessary. Once you are completely happy with your hearing aids, we will take payment, we find this is to be normally within a month. We firmly believe that this removes the uncertainty from buying hearing aids. Don't forget, we offer the very best hearing aid prices. Book your free consultation to find out more about how hearing aids might change your life. The technology that is packed into modern ultra small hearing aid devices is just outstanding, and we have many happy customers wearing them all day every day. We know we can give you better hearing, you have nothing to lose. Experience the results for yourself. 0800 1 69 68 62 or click below to book online!